The Rychnov childrens choir was founded in 1992. The choir practices at the Art School in the town of Rychnov nad Kněžnou and currently has 240 children from ages 6 to 18 years. Carmina is a name used for the representative part of the choir. They have given many concerts on local stages and have toured all around Europe - from the Polar Circle to Barcelona and USA. 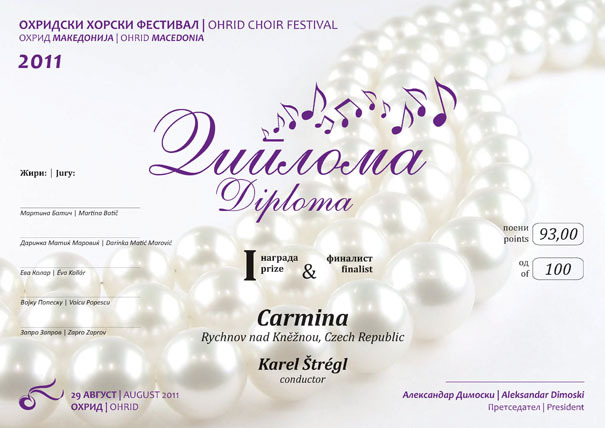 Carmina has created a characteristic style – besides the usual choir repertory they study a certain style, stream or genre and try to find the very roots of the chosen music (ethnical, popular, folk, rediscovered manuscripts...). Carmina has recorded 3 CDs and the choir has been successful at international festivals and competitions (second place in Lecco - Italy - 1997, two gold medals in Tampere – Finlad – 1999, and silver medal in Tolosa – Spain – 2000). Karel Štrégl worked as an assistant conductor in the boys´ choir “Boni Pueri“ and at the same time was the conductor of the women´s choir “Vocal Hormony“. This choir won several prizes in international competitions in Greece and Switzerland. He founded Carmina, and he has been the conductor and the artistic director of this choir ever since. 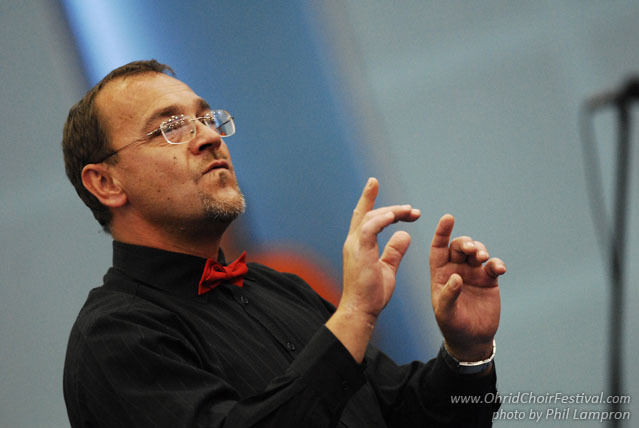 He also works as a lecturer on seminars for conductors, and is often a jury member for choral contests. He is a member of the artistic board of children choirs “Nipos Artama“ and he is the co-author of the textbook “Musical Alphabet“. Rychnov nad Kněžnou is a gate to The Eagle Mountains in the northeast of the Czech Republic on the border with Poland. The region was proclaimed a nature reserve area in 1969.